Are you putting together your wedding reception dance music playlist? Then look no further. 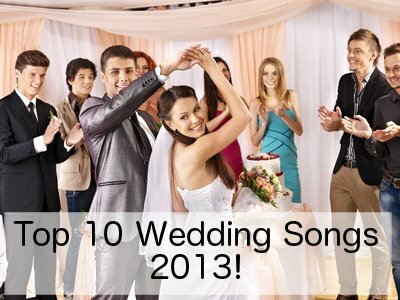 Here we have all the wedding dance songs you could want to create the party your guests will not forget. Your wedding reception dance music along with the rest of the music you choose to form part of your wedding day soundtrack will make a lasting impression on you as well as your guests. Long after everyone has forgotten what food you served or what color the flowers were, they will still remember that they had a good time at your wedding. They will remember that they danced till the sun came up, or woke up the next day with a sore throat and stiff legs from dancing and singing for hours. Therefore it is very important to take the time and plan your wedding reception dance music well. If you choose a good DJ or band, half the work of choosing the right wedding reception dance music is done, so make sure you get good references of that you see them in action before booking. If you are using a friend or family member to do the music for your wedding, you are going with DJ Ipod or you are not 100% sure about the company you are hiring, then be sure to make use of the list of songs below to mark your favorites and plan your wedding reception dance music. 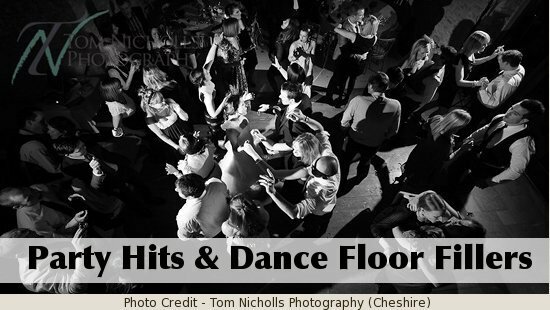 Please note that the wedding reception dance music list below contains music from many genres that have been tried and tested during many many weddings. They are all great dance floor fillers, but it would depend entirely on your and your guests' tastes in music as well as the type of wedding you are planning. The wedding reception dance music list below does not however include the latest hits. Some songs are a hit for one or two months to be forgotten forever thereafter. Therefore, keep a notebook handy when you listen to the radio to make notes of what is topping the charts in the time just before your wedding. Also make sure to set the mood for a good party with your wedding dinner music choices. • Isley Brothers - Shout! • UB40 - I Got You Babe. For more ideas and excellent playlists from real wedding DJ's, have a look here. 1. The best way to plan your wedding reception dance music, if you are not too knowledgeable about music and artists, is to take your time. Don't just sit down one night and decide to make the list. Take a notebook with you for at least a month before you need to make your final list. Listen to the radio as often as you can. Also listen to MTV Hits, MTV Classic as well as any other stations that play popular dance music. Make notes of any songs that get your feet tapping. 2. Then, when you have got a list of at least 10 - 20 songs, sit down with the list below and tick off the songs you know you and your guests will love to form your master list of wedding reception dance music. If there are new artists you are not familiar with, look them up on YouTube. Listen to the songs and decide for yourself if they should be included in your final wedding reception dance music playlist. 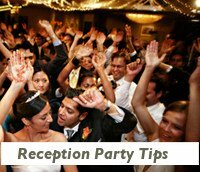 The party section of a wedding reception normally lasts around 4 - 5 hours, so you will need between 50 and 60 songs, but also allow your DJ to use his or her discretion and expertise to fill in some gaps and to read the floor. 3. Another tip when planning your wedding reception dance music playlist is to ask your guests, when they send you their RSVP, to include 3 of their favorite songs. 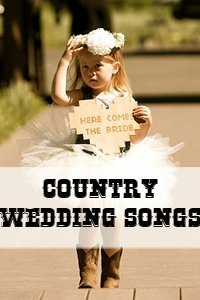 This way you can also include some of their most beloved songs in your wedding reception dance music list or even in your background list. 4. If you have booked a good DJ, he or she will be able to read the dance floor and will know what wedding reception dance music will get the people going, but it would help him or her a great deal to have a list of your and your guest's favorite tunes at least a week before the wedding. This will ensure that they have any music that might be requested, and that they will adhere to your and your guest's music tastes. 5. Also remember to give your DJ or band a list of songs and/or artists that you do NOT want to hear and include in your wedding dance music list. Often people think only of what they want to hear and include in their wedding reception dance music list, and then they are upset if the DJ plays something that they associate with a bad memory or they simply dislike. 6. If you have an uncle with a particular taste in music that you absolutely despise and would not want to hear at your wedding, then make use of the wedding reception dance music list above and be sure to let your DJ have a comprehensive list of songs to play for the evening and let him or her also announce that the two of you have chosen the songs for the night's entertainment and guests are welcome to make requests from that list. 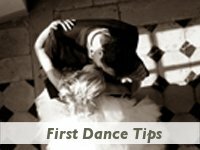 Also read our party tips for more ideas and tips on planning the best party of your life!